How to optimally configure the monitoring of a website? Every person that manages a website – especially a commercial one – uses remote availability monitoring services. However, most of the people who use monitoring services, use only the basic functions that are on by default when you first start the service. There are more than 100 providers of monitoring services in the world. Most of them (and certainly the top 20) offer a number of interesting features that usually are not used. Today – taking Super Monitoring as an example – we’ll show you how to set up monitoring in order to maximize its capabilities. Monitoring the availability of the website is the aforementioned basic functionality of a monitoring service. The monitoring system sends a request to the server for a specified URL and checks the response. If it’s different from “200 OK” – it reports a failure. It’s best to specify the home page of a website as the URL to be monitored. The availability test should be performed at least every minute. Forget about free services that check availability every 5 minutes – such “monitoring” doesn’t make much sense. If the monitoring application doesn’t receive any response from the server, it should also report a failure. By default, applications wait for quite a long time and send an alert if they really didn’t receive a response. However, this functionality can also be used to monitor server performance. If we know that our server responds on average within 1.5 seconds, we can set the monitor to send alerts if the response time exceeds 5 seconds. In Super Monitoring the information about the average server response time is displayed next to the field where the limit for alerts is configured. Most of the monitoring services allow you to check whether a defined phrase (or a piece of HTML code) appears on the monitored site. This allows you to detect such failures where the server’s response is correct and fast but the website doesn’t display properly. For example, due to a failure of the database only a blank template without content is displayed. Select any page to monitor the content – it can also be the home page – as a phrase use a text that is loaded from the database (it is not a regular part of the template) – i.e. it is editable in the CMS. Super Monitoring allows you to check the presence or absence of the phrase, ignore or recognize capitalization, as well as use tags such as <whatever> (replacing any part of the text) and <or> (acting as “or”). It’s not so much about monitoring the availability but functionality. What is the use of a website that loads quickly and correctly, if an important form – contact, registration, login – doesn’t work? Testing a form consists of the monitoring system filling it in and submitting it – and checking the displayed result page. So, e.g. checking for the presence of the phrase “Thank you for contacting us using the form”. Configuring form monitoring is a little more complicated than configuring the functionalities mentioned above. In addition to the URL of the form, you need to enter all fields that are to be filled (by specifying their Name) and provide the data to be entered in them. Next, you need to define the form submit button. At the end you need to determine which phrases the system has to look for at the results page which is displayed after the form is submitted. This phrase is defined the same way as in the case of content monitoring described above. Detecting is one thing but alerting and reporting is another matter completely. I bet you don’t want to receive text messages or voice call informing you about some insignificant event on a Saturday evening. Fortunately, this can be configured however you like. It is best to receive notifications about critical failures (unavailability, lack of content, a failure of an important form) immediately via email and text messages. To be able to respond as soon as possible by fixing the failure or reporting it to the person in charge of fixing it. Detection of the server’s long response time is not as urgent – an email information will be sufficient to check the performance of the server at a convenient time. If different people are responsible for different sections of the website (or external providers), you can configure monitoring so that they only receive messages about failures on pages they are responsible for. As for periodic reporting, monthly reports that summarize availability during the given period are a standard. They show the total downtime and the number of failures. The reports always show uptime – i.e. the percentage of availability of the website in a given period. A key indicator to assess the quality of services of a provider of, e.g. 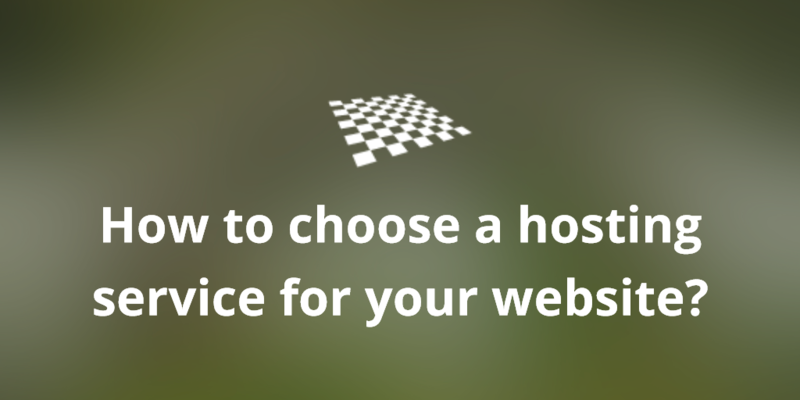 hosting – which is the basis for any claims under the SLA. At Super Monitoring you can add any number of recipients of alerts – for each of them enter the email address and mobile phone number and set the hours in which text messages and voice calls are to be sent to them. Then, in the configuration of a test, simply indicate which recipients are to receive the associated email, text and voice alerts – as well as weekly and monthly reports. In the settings of a test you can also determine when the notifications are to be sent – whether they should be sent immediately after a failure is detected, or maybe after a few minutes of its duration. The system can send alerts cyclically – e.g. after every 5 minutes of the failure’s duration. Of course there is also the option of sending a notification after the failure is fixed. Determining the appropriate procedures in the company is no less important than the configuration of the monitoring application. Who is to receive notifications about which website, how to proceed in the case of certain types of failures. The goal is the efficient troubleshooting or reporting failures to the providers (e.g. providers of web hosting services). Having our monitoring properly set up, we can rest easy. Thanks to the monitoring application, we’ll learn about the failure before the clients (or other users) start to complain. And having appropriate processes in place, we’ll have the time to react quickly and downtime will be reduced to a minimum.